Welcome to my blog. This is my first post and it has been along time coming, three years to be exact, mainly because I have been busy and have chickened out a few times. I have taken the leap and here we are. Over the next year I hope this blog will get me back to cooking & baking more and inspire you to cook &/or bake and try something new. I hope to try new recipes and let you know how they turn out, and prepare some old favourites to share with you as well. Over the past year we have had a few cooking adventures. 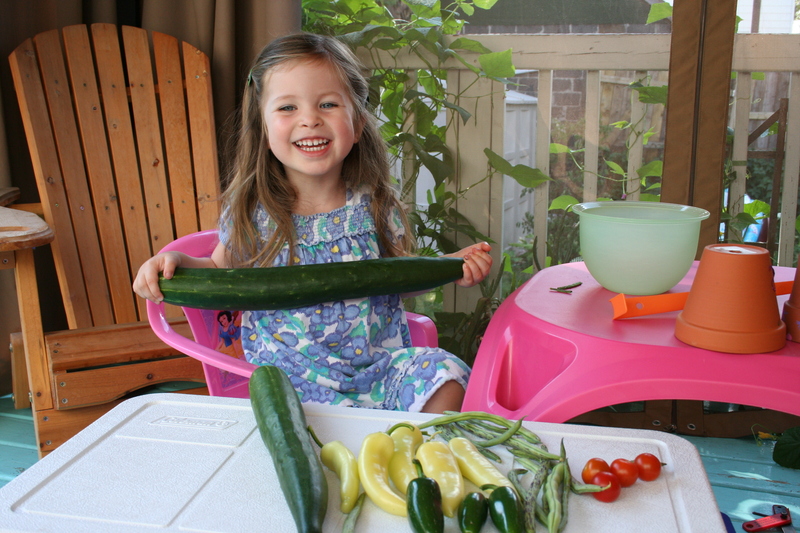 This summer, we prepared the back portion of our garden into a vegetable plot and had a bigger garden than in the past. 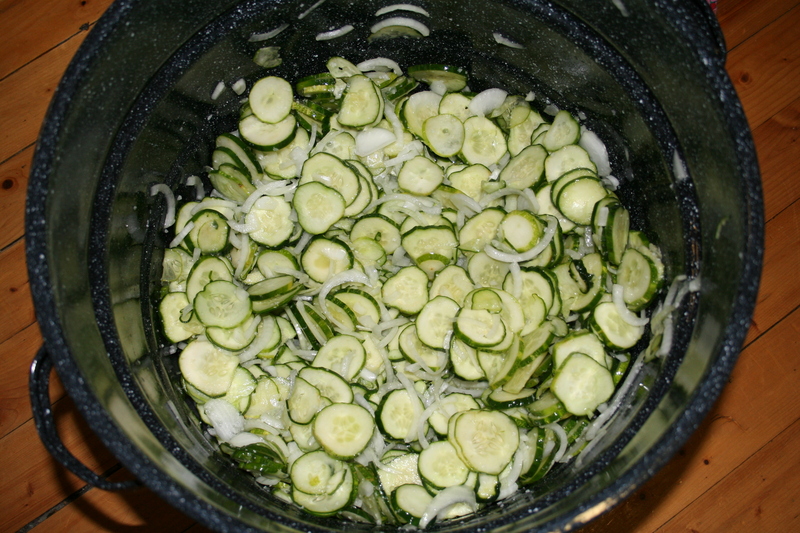 Unfortunately, we had a very dry summer and it wasn’t as productive for our cucumbers or tomatoes. 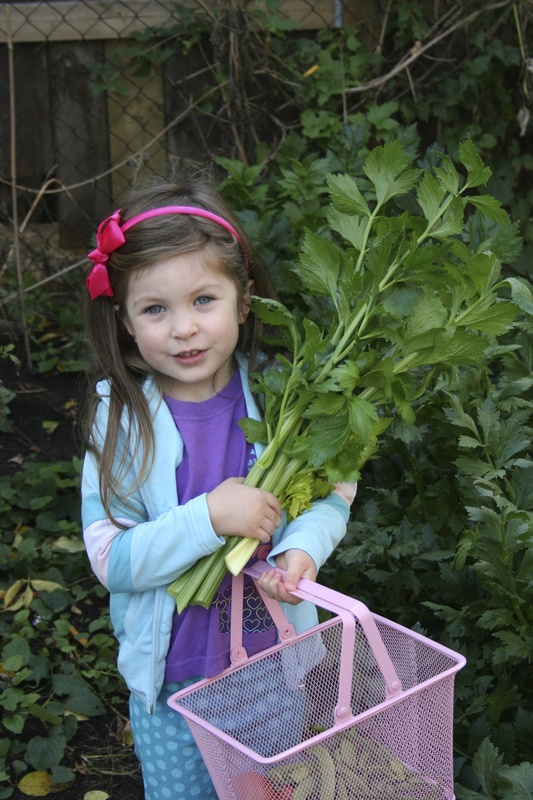 Our celery and leeks grew very well, but our schedule took over and we didn’t harvest them in time to save much from the ice and snow. Next summer we will be more diligent. 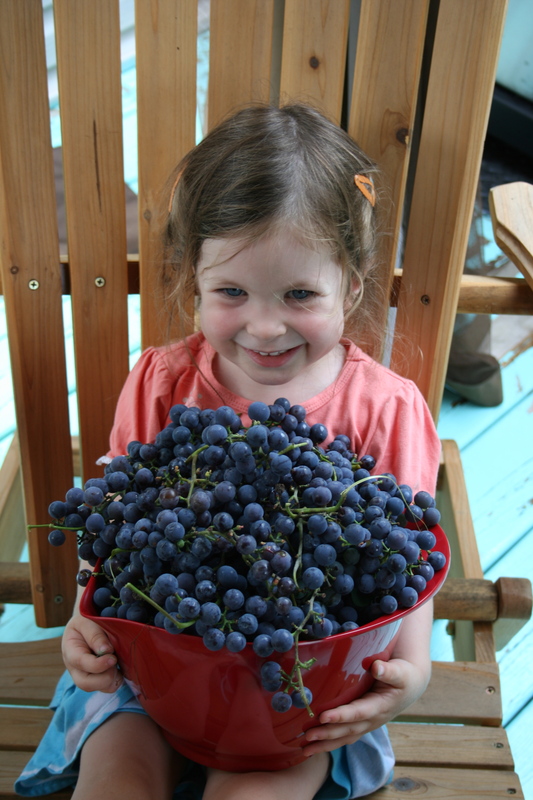 Hopefully it will be a great gardening summer and we will harvest and preserve what we grow. 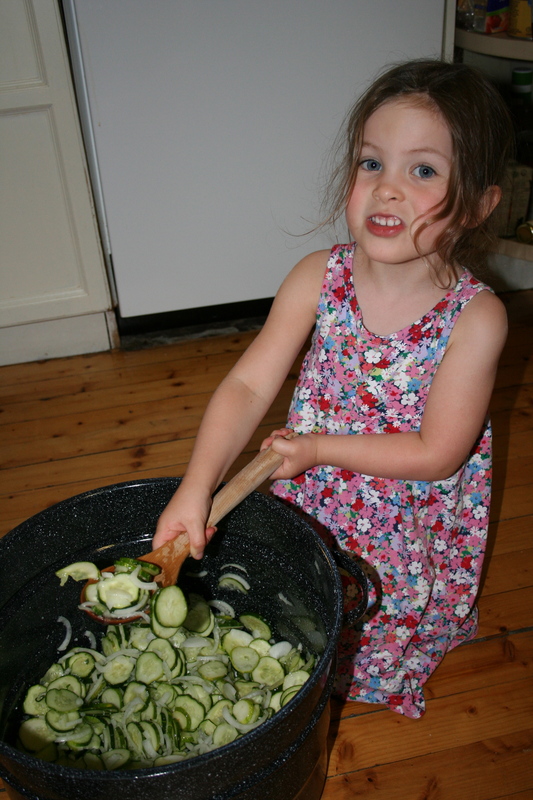 Yum Yum pickles, Evie loves these! 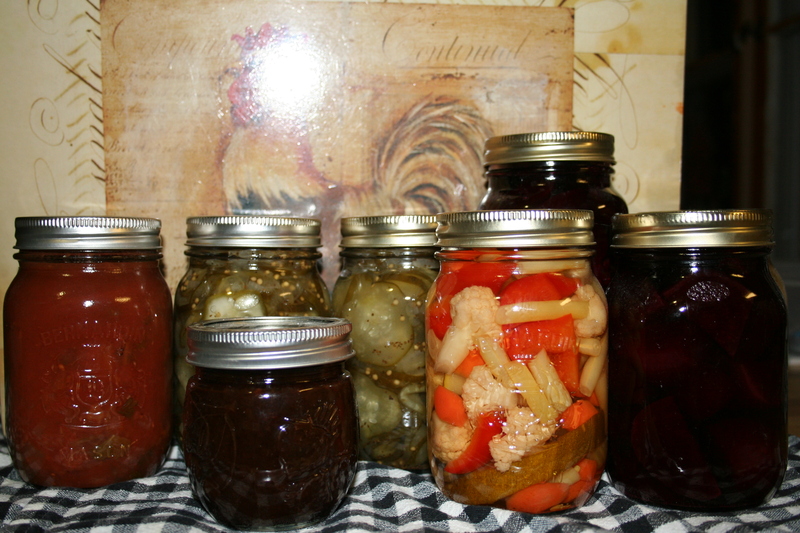 pickled veggies, plum sauce, tomato sauce, salsa and pizza sauce. 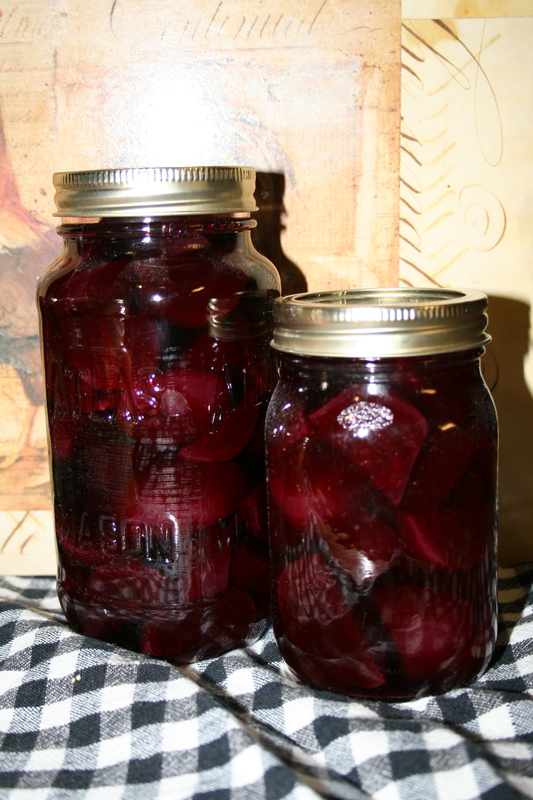 Other than preserving we have not been very adventurous this year. 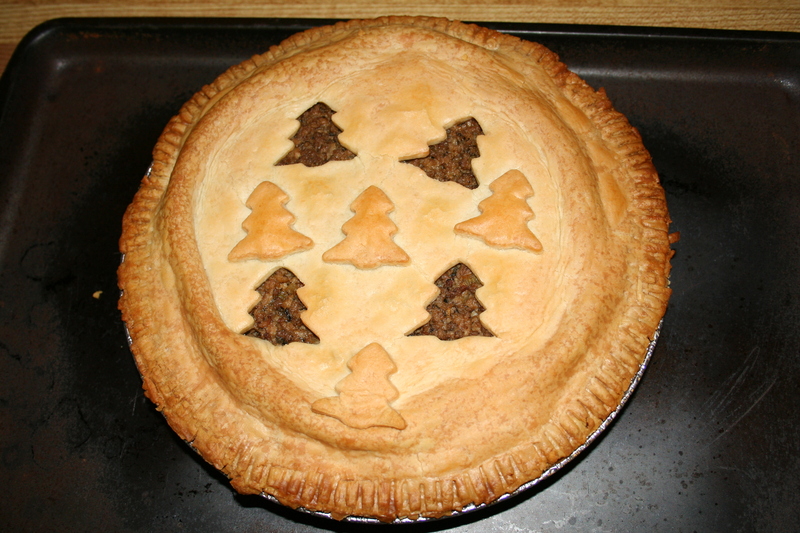 I did make my first tourtiere for Christmas Eve supper, from a recipe given to me by a co-worker, and it was delicious! I have been trying out a few Mediterranean, Middle Eastern and Moroccan recipes, delish. I am currently reading “Saha: A Chef’s Journey through Lebanon and Syria” by Greg and Lucy Malouf. It really is a lovely book. I love the writing and I can’t wait to try some of the recipes. I have a little bit of a recipe obsession. I especially love those old vintage recipe cards that have been in families for years and if you have those along with any frugal kitchen tips that have been passed on to you from your grandmother or anyone else, please share them with me and I will try them too. I have been thinking of what to make and post as my first cooking adventure of the blog and thought something by Julia Child would be nice, as I watched her show on PBS when I was a kid, not sure if it was for the cooking back then or just to annoy my brother he really did not like listening to her. I think it was actually a bit of both. It turns out that my next post will not be a tribute to any great chef or celebrity, but a tribute to all of the cooks, grandmothers and mothers out there who simply have had to make do and use what they had to feed their family, as I had a fridge full of vegetables and a leftover baked ham. It turned into a wonderfully delicious meal combined an icon of Canadian food, French Canadian Pea Soup with a Newfoundland twist… Mt. Scio Farm Savoury and Doughboys. That will follow in my next post. This entry was posted in baking, cooking, preserving, Uncategorized and tagged baking, cooking, cooking at home, preserving.